Your horror novel Devil’s Nightmare begins with a double homicide (parents), which is soon linked to a horrific crime scene at a nearby cemetery. The only witness is a young boy. YIKES! How did you come up with this idea? Horror and fantasy are my two favorite genres, so I guess it’s kind of natural for some twisted idea to pop in my head while daydreaming or getting ready for work. The story in of itself was actually inspired and very loosely based on a personal experience (no, I’m not moonlighting as an axe-wielding psychopath; at least that what my therapist tells me) from when I was a child. I had an encounter with what I can only describe as a demon manifestation after playing with a Ouija board by myself on several occasions, which turns out is a big no-no. I woke up late at night and felt something pressing against my chest. I couldn’t breath and then I saw a shadowy figure floating above me. I then saw the demon eyes appear from within the silhouette. I tried to scream, but I couldn’t. I couldn’t breath. Tears flowed down my eyes as I continued to stare at the evil above me as more pressure was applied to my chest. Finally, I was able to breath and I screamed like I’ve never yelled before in my life. My parents came rushing into my room. I was told I was just having a nightmare, but I knew better. I have never touched a Ouija board ever since then. I have also never been more scared than I was that night. How did you feel as you wrote such a disturbing – but gripping – tale? There were certain scenes that were difficult to write, which gave me chills, but because I enjoy reading horror and watching horror flicks on television, it wasn’t that big of an issue with me. A couple of scenes were toned down, though, because they were a bit too graphic even for me. The novel is still a chilling tale and it was very fun to write late at night. Your protagonist Detective Aaron Sanders is the cop we’d all want to call if we were in trouble. How did you create this character? 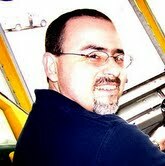 Devil’s Nightmare is written from Detective Sanders’ perspective, so I pretty much tried to put myself in his shoes in every situation that he found himself in, and since I wrote about ninety percent of the manuscript without an outline I was able to almost experience the thrilling adventure with my main character. It was extremely enjoyable to write in this way because I really didn’t know how Detective Sanders was going to solve this case or what was going to happen at the end. It was a risky and unconventional way of writing, but I think it worked, and I wouldn’t have done it any other way. I really got to know Detective Aaron Sanders throughout the whole process of writing Devil’s Nightmare. Is there a little bit of you in him? Yeah, I guess you could say that. People that know me personally could probably point some things out, but for the most part, Detective Aaron Sanders is a unique individual. Will we be seeing Detective Sanders in a new tale someday? After some thought and a couple of requests to do so, I have decided that I have enjoyed my author-character relationship with Detective Aaron Sanders so much that he will in fact show up in at least two more future stories. You don’t just write horror stories. 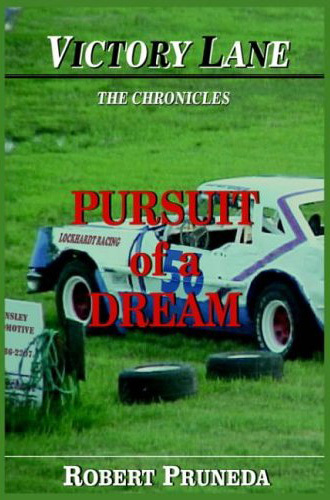 You also have “Victory Lane: The Chronicles: Pursuit of a Dream”, plus some short stories. How easy or how difficult is it for you to switch between styles of writing? Between genres? I wrote Pursuit of a Dream in third person and actually began writing Devil’s Nightmare in third person, but I just couldn’t get into the story in that perspective. Something just wasn’t right. That’s when I switched to first person, which I never thought I would ever write in. It turns out that first person is quickly becoming my favorite style to write in for many reasons, particular in the horror, mystery and thriller genres, which Devil’s Nightmare falls into. Regarding switching genres I don’t find it terribly difficult as long as I’m not trying to write two stories at once, which I may actually be doing this year. I plan on writing sequels to both of my novels, so that could get interesting. We may have a race car driver that ends up fighting for his life in some end of the world situation or maybe Detective Sanders has a midlife crisis and changes careers to become a race car driver. Who knows? You are currently working on book two in the Victory Lane series. What can you tell us about it? When do you expect to be finished? I plan on finishing the first draft this summer and will shoot for a release somewhere towards the end of the racing season this fall. That’s the plan, but we’ll see how things go. I’m also planning on working on a sequel to Devil’s Nightmare and will be co-writing a murder mystery novella with an author friend of mine. That’s three projects in one year, so refer to my answer to Question 3 for a nice cocktail of writing scenarios. Oh, and I will somehow need to fit work and other life events in there somehow. Chances are one of the projects will probably get pushed into 2014. Your writing ranges from horrific crime to auto racing, which makes me think your reading tastes are likely quite varied. Name two or three authors whose books you can’t wait to read. Stephen King is my all-time favorite author, so he’s always near the top of my “to read” list; I’ll be reading Under the Dome next. I’m also looking forward to beginning Michael R. Hicks’ In Her Name sci-fi fantasy novels and Bitter Harvest, sequel to Season of the Harvest, which I absolutely loved reading! The sequel to Jack Albrecht Jr. and Ashley Delay’s Osric’s Wand fantasy series is also marked as a definite read. There are so many other talented authors that I’ve come to know over the past year or so, most of them Indies, I could spend paragraph after paragraph writing about. The online world for authors is very diverse and very supportive, and the opportunity to interact with fellow writers is limitless. What have you learned from an author whom you’ve only met in Cyberland? I think the first thing I’ve learned is that there is no such thing as a one-size-fits-all approach to writing and publishing. I’ve built some amazing relationships with a lot of authors through social media and let me tell you the most difficult thing I dealt with when I first started taking my writing more seriously was reading all those articles about what I should and shouldn’t be doing as an author. It was overwhelming! What is the best form of marketing? How many words should a novel be? Should I use Amazon KDP Select or would being exclusive to Amazon alienate other readers? There are gazillion opinions out there about pricing strategies. There are a myriad of ideas about advertising and whether you should pay to market your books or find other alternatives. There a ton of “experts” out there that will tell you should listen to them or it will be the death of your writing career. I’m obviously being sarcastic there and that is not to say that writing blogs are in fact helpful, but what I’ve learned from connecting with other authors in the writing community is that we are all unique, and what works for one person may not work for another. Sometimes we need to just forget about all of those details for a little while and just write! This may seem a banal question, but every writer is different. What is your writing routine? Place? Paper and pen or laptop? Whatever you feel like, or a fixed number of words per day? Time of day? I tend to do most of my writing during the “graveyard hours” late at night. I find for me personally writing during the day is near impossible for me even though I am self-employed and work from home with a pretty flexible schedule. However, there are just too many distractions during the day that keep me from being able to focus on writing, particularly environmental distractions that I can’t control, such as the neighbourhood dogs barking which then trigger my dogs to start barking. I write at a desk in the corner of my bedroom (I don’t have an actual office yet) and typically play instrumental music which helps to relax and clear my mind. I sometimes use my laptop, but I usually lean back on my leather chair with my desktop ergonomic keyboard resting on my lap as I transfer my thoughts to the computer screen. Regarding a fixed number of words, I participate in #WIP500 which is basically a goal of writing 500 words per day that is related to a current work in progress, which can include blogs specific to the work and, of course, the manuscript itself. I’m not as disciplined as I would like to be, but it does help me stay on track. I too am a work in progress. JD Salinger was notoriously protective of his work. He prevented others from doing anything at all with The Catcher in the Rye. Now that he’s gone, I expect someday there will be works that build on or play on Holden Caulfield’s story. Someday, when I’m reasonably certain I won’t get sued, I would love to write a follow up to To Kill a Mockingbird. There’s got to be a novel out there - either a stand alone, or a series - that you wish you could write the sequel for or or or that you’d like to write a parody of. What is it? Hmm. I never actually thought of that, by now that you mention it, I think it would be fun to write a sequel to Cell by Stephen King. I absolutely loved this book and when I finished reading it I wanted more! Of course, I would get sued if I tried, so Mr. King, if you’re reading this (yeah, right!) how about a continuation to Cell? Heck a novella. Epilogue. Something. That’s one thing I love about Stephen King. Every time I finish one of his books, I’m so lost in the story that I am disappointed that it ended. What would you do for creative fulfillment if you couldn’t write? If you didn’t have a story to tell? If I couldn’t write (God forbid! ), then I would probably turn to music. I love the sound of the piano, so I would probably choose that instrument to fulfill my creative needs. Heck, it’s something that I probably will take on anyway because I’ve always wanted to learn how to play the piano. Boxers or briefs? Just kidding! Why should readers flock over to their favorite e-book retailers and grab a copy of Devil’s Nightmare? That’s an excellent question, Rob! I’ll answer that with some unedited blurbs from those who have read advanced copies of Devil’s Nightmare and reviews on Amazon . . .
"What can I say about Devil's Nightmare . . . other than I LOVED it! It's very intriguing and keeps you turning the pages." "Pruneda did a very good job of keeping things in order and moving smoothly along. This is a good story! The language was real and worked in the context of the story." "If you like Stephen King, then you'll love Devil's Nightmare by Robert Pruneda." Great job, Rob. And what a story you wrote in Devil's Nightmare! QAlways great getting to know you better! You are going to love "Under The Dome"! Now I need to get busy and read "Devil's Nightmare"
Good, in-depth interview Jill and Sharky. Love the new cover! I had an 'experience' with a ouija board once and, like you, never picked it up again! "I too am a work in progress."